Barry began playing folk clubs in his native Yorkshire when just fourteen, but did not turn pro until five years later. Teaming up with his brother Robin they went on to make two albums for Bill Leader that are still regarded as classics: 'Rout Of The Blues' and 'Lord Of All I Behold'. The former not only sold enough to give it a top five place these days, but was also voted Melody Maker's folk album of the year. On the back of this success came a management deal with the svengali of the times Jo Lustig and a record deal with Warner/Reprise, but an artistic disagreement lead to the cancellation of both contracts before any product could emerge. 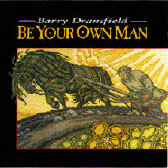 Barry went off to work solo and recorded an album for Polydor in 1974. It was voted rarest folk album in Record Hunter magazine, which speculated that a mint copy would currently change hands for over £100, though Barry rather spoiled things by re-issuing the album on CD a couple of years ago. In 1975 he rejoined brother Robin to form the band Dransfield, which signed to Transatlantic Records. The resulting album, 'The Fiddler's Dream', a concept album mostly written by Barry, was ahead of its time and sold disappointingly, and the band split shortly thereafter. From 1978 to 1984 Barry worked consistently, doing tours with Robin and also stints with the Albion Band which included recording the legendary 'Morris On' album. It was at this time that Barry became involved in the world of film and T.V., composing for the film 'S.O.S. Titanic' and the T.V. plays 'Adelaide Harris', 'Play Away', the BAFTA nominated 'Samson And Delilah' and 'Ballymena Opera House'. He also went to Tahiti with Mel Gibson, Daniel Day-Lewis and Anthony Hopkins to play the blind fiddler Michael Byrne in 'The Saga Of H.M.S. Bounty'. In 1984 he released a second solo album 'Bowin' and Scrapin'' on the Topic label. In 1986 Barry retired from live performance, opening a violin and cello restoration business in Hastings, where he now lives. The release in 1994 of 'Be Your Own Man' and a subsequent UK tour with Steeleye Span marked his public return to making music. During a two year period from 1994 - 96, Barry played almost every club and festival in the UK as well as recording a second album, 'Wings Of The Sphinx', for Rhiannon. Barry has now gone back to semi-retirement, but has recorded another album, 'Unruly', and also makes occasional (and usually unannounced) appearances at local clubs in the Sussex area.